Iranian Civil Right Atena Daemi in critical condition. Atena Daemi, 27-year-old, an Iranian civil rights activist who has been held in Evin prison since October 2014 are at risk of losing her health due to medical care shortage, according to the news. She gradually losing her eyesight because of holding in isolation about 86 days whereupon her eyesight diminishes day by day; officials refuse her rights access hospitalizing despite her critical situation. Miss. Daemi also suffers from a severe headache, weakness and fatigue, a severe toothache as a result of inferior dental nerve disorders and suspected of having Multiple Sclerosis disease, her relatives said. IRGC officials arrested Miss. Daemi at his father’s house on 21 Oct 2014, and taken to the solitary confinement in Ward 2-A Sepah at the notorious Evin prison. She was held several months under temporary detention despite her lawyer’s repeated demands for her release on bail, persecuted for false charges “assembly and collusion against national security”, “propaganda against the regime”, “insulting the Supreme Leader”, “blasphemy” and “concealing crime evidence related to the other prisoner of conscience Ali Noori” by Branch 28 at the Islamic Revolutionary Court in capital of Iran, Tehran chaired by Judge Mohammad Mogheyseh. She, who worked at the Revolution Sports Club in Tehran, was trialed by the court on March 7, 2015. Miss. Daemi had been accused of “insulting to the Supreme Leader”, “assembly and collusion through attending a peaceful rally in support Kobani in front of UN office in Tehran and no to death penalty”, “propaganda against the regime of Iran” and “hiding personal documents”. She has experienced severe psychological tortures in the chambers both in isolation and public wards. “Atena was asked to provide the password to the Facebook page of one of her friends, who is also imprisoned, during interrogations”, International Campaign for Human Rights in Iran reported. Iran’s Islamic Revolutionary Court held its severest charges against her as 14 years in prison, notified by the Head of Office of the Branch 28. She convicted to the rigorous punishment just for her peaceful and humanitarian activities. She is awaiting the final decision by the Appeal Court; the case has been referred for re-examination to Branch 36 chaired by Judge Seyed Ahmad Barzegar. Iran’s officials refused her lawyer requests for her release on bail, the reliable sources declared. Finally, she released on the bail of 180,000 $ (550 million Tomans) on February 16, 2016, till the appeal court decision to be met. Concerning this, Amnesty International asked Iran’s authorities releasing Atena Daemi immediately and unconditionally through an urgent action, started at their release news website. Ahmed Shaheed, the UN special rapporteur for the situation of human rights in Iran, had expressed concern about the heavy sentences and urged the Iranian authorities to reconsider the cases. “I am deeply concerned by the prosecution of these individuals for what appears to be a legitimate exercise of internationally protected rights to expression and assembly,” he said. 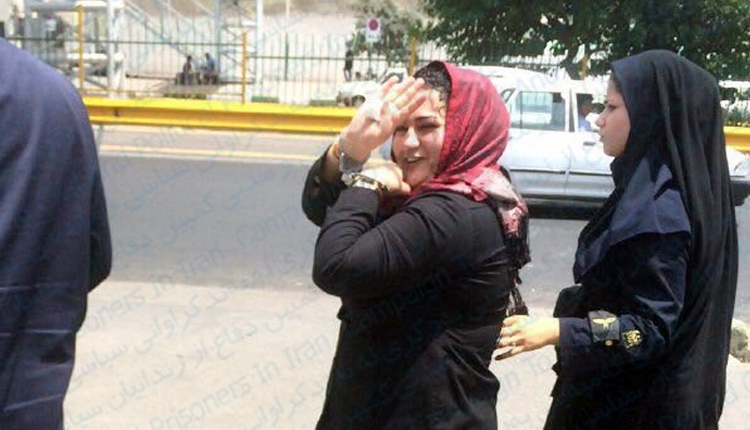 Finally, Branch 36 of the appellate Court issued 7-year prison term against Atena Daemi. The court was conducted by Judge Ghomizadeh. Atena Daemi was arrested at her house in IRGC raid early morning Saturday, November 26, 2016, according to local sources. She was taken to prison for serving her 7-year prison term. THEREFORE: We, the undersigned, demand that the international community bring all possible pressure to bear upon the Islamic Republic of Iran to honor its binding human rights by IMMEDIATELY and UNCONDITIONALLY releasing Atena Daemi from prison, canceling her ILLEGAL suspended detention and dropping all equally ILLEGAL charges against her. The Immediate & Unconditional Release of Atena Daemi, an Iranian Children's Rights Activist petition to UN, Ban ki-Moon, OHCHR, Navi Pillay, Ahmed Shaheed, State Department, EU, European Parliament was written by Rojikurd and is in the category Human Rights at GoPetition.